Today’s mobile devices are termed as smartphones because of its multi-functional abilities. These abilities are performed by using different types of applications. There are various categories of apps like games, sports, entertainment, travel and tourism, education, restaurant etc. Along with restaurants you can find quite a few apps which have been developed for availing drink and food services. These apps have increased the popularity of smartphones among the users to a great extent. With the advent of newer technologies these apps have become more interactive and have also made our lives convenient and smooth. A mobile app development company mainly focuses on building apps that can meet the nature and scope of your business. App development services will help you reach your targeted audience along with retaining the existing ones. This post will give you an insight about some popular restaurant apps and its utilities for the users. There are some parameters based on which the restaurant apps have been prioritized. It will help you to avail these apps on your smartphone devices amongst thousands of available options. Affordability: The most affordable apps will help you meet your needs effectively and with the desired purpose. Ease of Use: This is a significant feature pertinent to the apps. It will help the users to use it and navigate easily so that they can arrive at their desired results without much hassles. Detailed Listing: The restaurant apps have been developed in such a way so that it includes varieties and a large section of restaurants. Starbucks: This is a renowned restaurant app which will allow the users to make payments through phone. They can also get rewards with free drinks. Moreover, it also surprises loyal customers with attractive perks. The mobile app of Starbucks will enable you to make quick payment processing for your drinks and food. You can order in advance for picking up your drinks and food without having to wait in long queues by using Starbucks app from your smartphone devices. Open Table: Open Table is one of those apps which you can opt for if you are looking for a perfect restaurant to have a great dinner. With this app, the user can reserve restaurant table for free in advance. Not only that, the user will also get a bonus along with dinner credits each time he/she visits the restaurant. 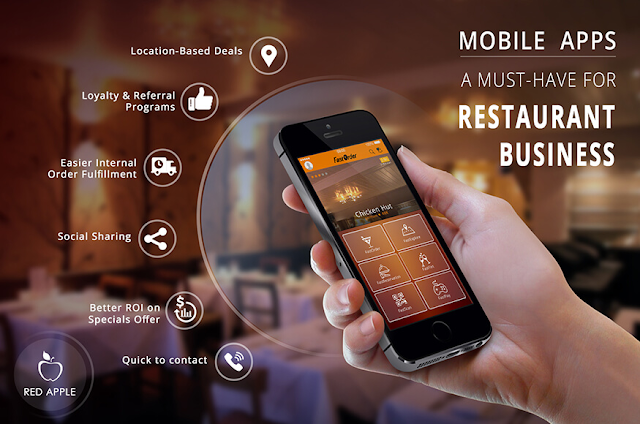 This app comes free of cost and by using it you can manage, discover and reserve restaurant anytime and from anywhere. UberEATS: This is a new addition in the list in the sense that it is not available everywhere. However, it is rapidly growing popular and hopefully will be able to influence the future market. This app is pretty effective and enables you book your food and drinks from your favorite food joints. You can make payments for availing this service from your Uber account and can get discount coupons on your first Uber ride. Urbanspoon: This app is a renowned one in this domain. It has got huge acknowledgement from the media sector. For daily users it is considered as all in one dining app. By shaking the smartphone, one can get the desired suggestion. It is also equipped with built-in GPS which will help you to locate the nearby restaurants. The above mentioned apps have been designed and developed using all latest technologies so that it can attract the prospective users. Not only that, the ease of use and navigation has been ensured to retain the users. These applications have been built for those who love to visit various restaurants or eateries with their friends and families to relish cuisines of different flavors. Hope the above discussion will help you to have a concrete idea of some top restaurant apps that can meet your desired purpose. These apps are easy to use and hence can create a large user base. Ordering foods, drinks and reserving tables at your favorite restaurants have become a matter of simple click. Author Bio: Mr. Arup Roy is the founder member of Red Apple Technologies, a prominent mobile app development company. He has a profound experience in this domain. His articles and blog posts on app development services are highly informative for the developers of today.